Amazon's efforts to colonise every part of the retail ecosystem mean brands need to ensure that they are front of mind before consumers pick up their phones, Wavemaker's ecommerce chief told Campaign. The tech giant announced its third quarter results last night. Although sales were up 29% to $56.6bn (£44.2bn), this figure fell short of analysts’ expectations, causing shares to fall. Amazon – which has been closing in on Apple as the world’s most valuable publicly traded company – has recently increased the number of own-brand and exclusive ranges it offers, as well as giving its own products favourable placement within its platform. Its recent activities included launching a pop-up in London to promote its own fashion lines. Amazon also opened a new physical retail format in New York last month, Amazon 4-star, which only sells products rated four stars or above on the site and features many of Amazon’s own products. 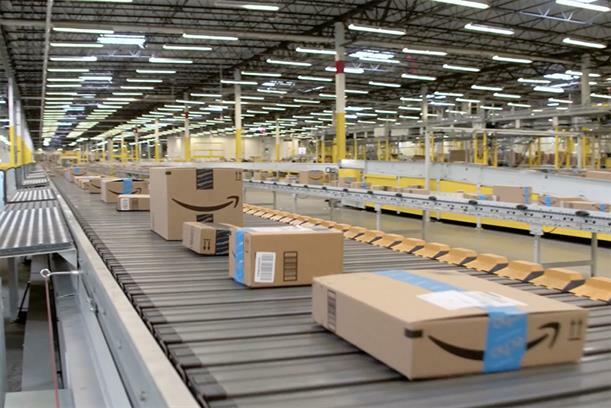 Mudit Jaju, Wavemaker’s global head of ecommerce, said all of these steps were signs of Amazon’s ambition to "try to go after absolutely every single industry". While supermarkets have been winning share of sales for their own-label products for decades, and other retailers such as John Lewis have identified the importance of exclusive lines in staying competitive, Jaju said that the level of consumer insight available to Amazon gave the company an unparalleled ability to dominate in many (if not all) product sectors. The existing infrastructure made it easy for Amazon to grab a slice of sales in a given area, Jaju said: "It’s easy for them to source things from their partners – if they see someone’s doing a good job on iPhone chargers, for example, they can quite easily do a deal [with that manufacturer] and white-label those products." He explained that while there were a few areas he thought would probably be too challenging for Amazon to get into, such as luxury items or smartphone handsets, these were few and far between. "Even Amazon-branded jewellery is not impossible," he noted. The situation will increasingly mean that brands cannot compete with Amazon on a functional basis, Jaju predicted, meaning they will require much stronger brands than at present, because their task will be to condition consumers to arrive at Amazon already looking for the specific brand, rather than the category. While Amazon is increasing its share of the digital advertising market, the own-label challenge for brands meant that "the role of your TV advertising or, say, your partnership with BuzzFeed becomes even more important", Jaju pointed out. "The way we have to think about it is, if you wait until someone is in market, the window to influence is miniscule," he said. Despite this, Jaju said brands should think more carefully about the images they use on Amazon and try to use these to tell a story. He pointed to L’Oréal as one brand doing an "incredible" job on the platform: "It feels like an affordable luxury." As far as advertising on Amazon goes, Jaju claimed that it was an area in which most brands needed drastic improvement. The challenge from brands, he said, was that Amazon breaks down the distinction between retailer and media platform, meaning marketing and sales teams need to be much more integrated. The increased technical understanding required of marketers by Amazon meant they were often taking their eyes off the ball and making mistakes as basic as misspelling their own brand names: "That happens often enough that it’s embarrassing to me." Jaju said it was reasonable to be slightly concerned that Amazon’s strength in distribution, brand ownership, advertising and other facets of the commercial landscape could threaten competition and ultimately harm consumers, but he predicted that direct-to-consumer models would flourish and provide the competition needed, even where other retailers were unable to do so. The company best-placed to be a single "credible competitor" to Amazon, he said, was Facebook, because "a lot of the things that make Amazon successful, Facebook has as well". While he did not expect Facebook to build a major retail infrastructure as Amazon has done, he speculated that it could, for example, develop a system that certifies and supports other retailers.